In Matthew 19:27, Peter, probably the most senior Disciple of the Lord Jesus, asked his Master a very important question; "...see, we have left all and followed you.therefore what shall we have?" Everything a man does has a reward. rewards can be positive or negative(Prov. 11:21,23, NLT). Every man has an expectation of some form of reward in whatever we set out to do. some look forward to an immediate reward, while others look up to a future reward- both on earth here and in the life after. in some cultures, the expected future reward is in the form of nemesis catching up with the evil doer. in some others, it is believed and expected that rewards will come in the form of human transformation in which if you do good in the present life, the Almighty will put you in the best part of His Kingdom. However, if you were so evil now, you will be retained here on this earth till you are purged by way of graduating from say, a cockroach to a rat, then to may be, a goat, an elephant, and so on. though all these may in the ultimate still not grant you final acceptance and rest with their own king of god! 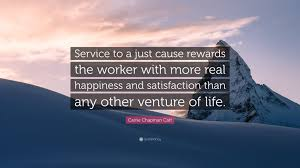 while it is important that the desire for and expectation for earthly reward should not be the main reason for whatever we do, there is no doubt that rewards are important and we should have it at the back of our mind (see Hebrew 12; 1-4; Phil 2:5-11,12-16). In Hebrew 11;6, God is also said to be a 'rewarder of those who diligently seek him' I honestly believe that the Law of Harvest, instituted by God Himself, is part of His being a just and fair God, That great and eternal law says in Galatians 6:7-9. A man travelling to a far country - who is the man? - of course, we can say it is the Lord Himself. Often, when He uses the term 'a man'or 'a certain man', He was actually referring to Himself or to His Father. The far country- that country is Heaven. Physically, Heaven is millions of miles Away from the earth! However, spiritually, Heaven is very near. it is in fact a breath away from you. this is because when we pray we are in touch with Heaven. The Trinity( God the father, son and Holy Spirit) are all ears, prepared to attend to our requests. Many a time in the mission fields, the tendency is for us (Christian Workers, especially Missionaries), to be anxious to contact our Church or sponsoring headquarter offices for urgent help. But the truth is, Heaven is nearer than our Headquarters! Heaven is where the real Headquarters of the headquarters is located. Heaven is where the real and original General Overseer, the Greatest Bishop and Chief Shepherd is. He does not travel, his telephone line is not switched off, and He never lacks resources. Dear Christian Worker/Missionary, when next a need arises in your life and Ministry, get in touch with Heaven, and God will surprise you for good in Jesus Name. The man called his own servants - some important questions must be asked and sincerely answered here: Am I His servant? Am I hearing and obeying Him? am I serving Him or serving myself or some other masters and interests? Many a Christian worker are not servants but masters and lords! They are un- submissive to the authorities over them. Rather than being out to minister, they love and seek to be ministered to they seek gifts and rewards. The master delivered his goods to the servants. this means He handed over his resources, (perhaps his life savings and to some extent his future). That means he trusted the servants to some extent and he had confidence that all will be intact while he was away. He may also have done so to test how dependable they would be in his absence. Many today are 'eye' servants. the moment the master turns his head they go hay wire! The master gave talent to the servants according to their abilities- He must have known each servant a little very well. He knew how much each servant could reasonably handle without being intoxicated, overwhelmed, and becoming arrogant, puffed up, or corrupted by position, power, and money. i wish that our leaders will take time to study and really know their subordinates and people they are putting in positions. such a knowing will prevent leaders from giving five talents to those who could only handle two, or giving two talents to those who cannot handle more than just one. Every leader needs the help of the Holy Spirit here.